City Council has scheduled a public hearing and final vote on the ordinance for its Dec. 13 meeting. 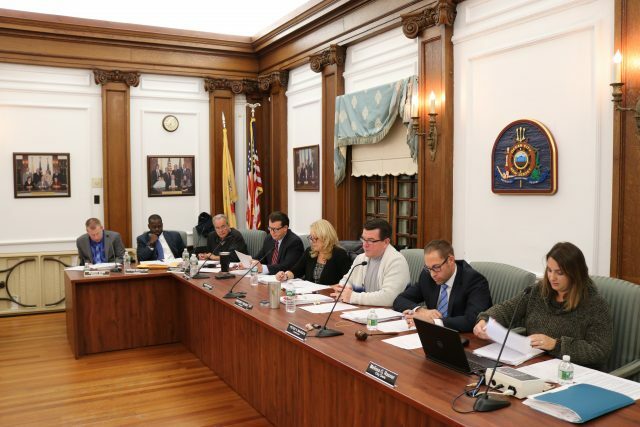 City Council introduced four ordinances Thursday night that include key parts of Ocean City’s strategy to provide its state-mandated “fair share” of affordable housing. The ordinances incorporate elements of a legal settlement, approved by the courts last August, laying out the city’s affordable housing plan through 2025. The city plans to hold a town hall meeting in the future to give the public a full presentation on the affordable housing program. A date has not yet been scheduled. 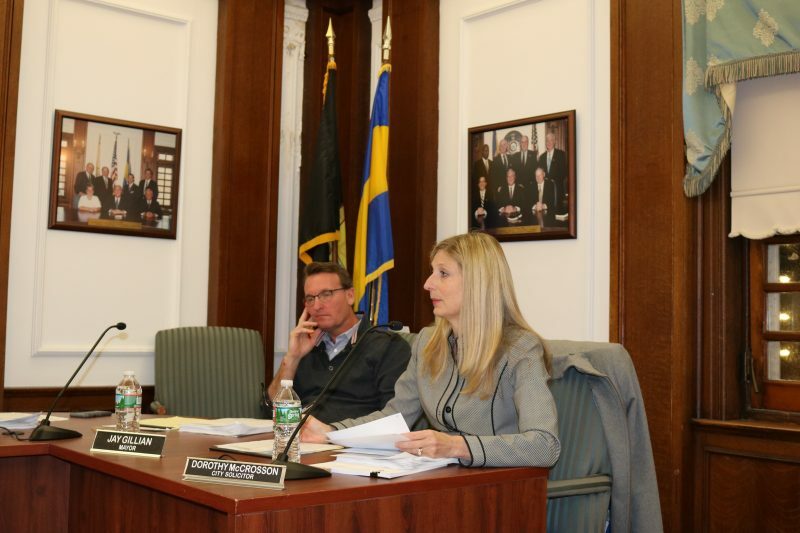 Meanwhile, the four ordinances introduced Thursday will be up for a public hearing and final Council vote on Dec. 13. At a later date, Council is expected to consider two other ordinances that contain more elements of the affordable housing plan. Those ordinances were tabled on Thursday to provide more time to work out the details. Like other towns and cities, Ocean City must comply with the state’s Fair Housing Act of 1985, as well as the landmark Mount Laurel court doctrine requiring New Jersey municipalities to provide their “fair share” of affordable housing. 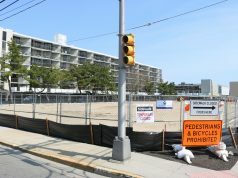 In Ocean City’s case, a scarcity of developable land in the beach resort makes it highly unlikely it will ever be able to fulfill its affordable housing requirements, City Council members pointed out. 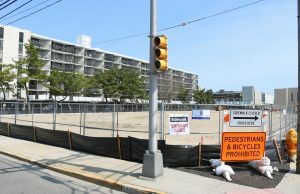 Wherever affordable housing is built in Ocean City, “the design will have to be consistent with the surrounding neighborhood,” McCrosson noted. City Solicitor Dorothy McCrosson, seated next to Mayor Jay Gillian, explains the affordable housing plan to Council. By negotiating a court-approved settlement and creating areas where affordable housing can be built, the city will avoid exposing itself to developers’ lawsuits challenging its zoning laws. Using criteria from the court settlement, one of the ordinances introduced Thursday spells out who will qualify for affordable housing and how they will be screened. McCrosson explained that the city is required to build 13 units of affordable housing within the next two years. However, the city and the Ocean City Housing Authority have a total obligation of 107 units through 2025, she noted. Overall, the “ballpark” cost for the affordable housing plan is about $11 million to $12 million, McCrosson said. 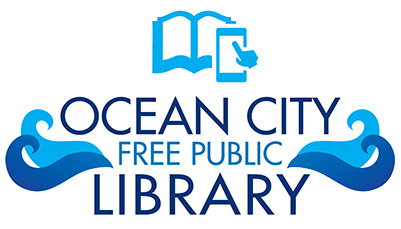 Exactly how much it would cost the city is unclear at this time because different sources of public and private funding are expected to finance the program, including money from the Ocean City Housing Authority, she added. The housing authority is a public agency that provides affordable housing for senior citizens, the disabled and low-income families using federal funding from the U.S. Department of Housing and Urban Development. McCrosson said the housing authority plans to build 94 units of affordable housing to help Ocean City fulfill its obligations. 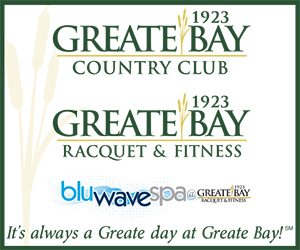 Most of the units would be concentrated at the authority’s Bayview Manor and Pecks Beach Village housing developments. 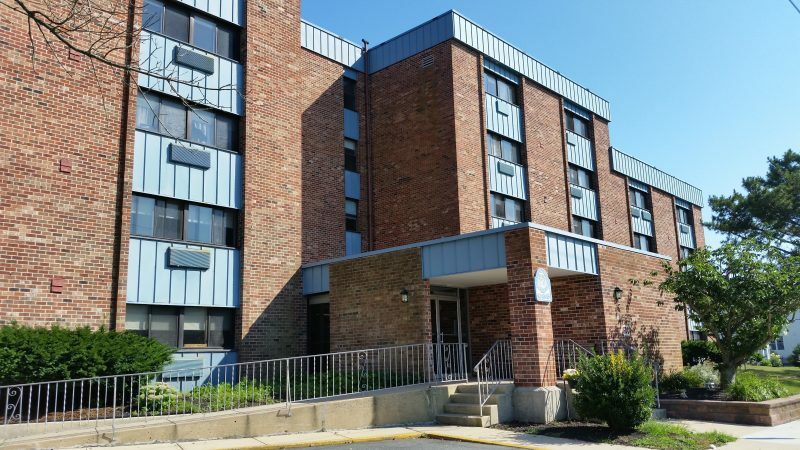 The Ocean City Housing Authority’s Bayview Manor complex at Sixth Street and West Avenue is the proposed site of 34 new units of affordable housing. With the city’s financial help, the authority has been working on plans to build 34 new units of affordable housing for senior citizens at the Bayview Manor location at Sixth Street and West Avenue. The estimated $6.2 million project will replace 20 units of senior-citizen housing that would be lost when the agency demolishes the flood-prone section of Pecks Beach Village on Fourth Street. Longer-range plans include demolishing 40 units of affordable housing for low-income families living at Pecks Beach Village. The housing authority has discussed the possibility of building 60 new units of family housing in place of the existing Pecks Beach complex. Private developers would also be encouraged to build affordable housing in Ocean City through “set aside” agreements. Under the plan, 20 percent of the units would be reserved for affordable housing. For instance, a 10-unit project would have two units set aside as affordable housing, city officials said. “I just think this is an excellent idea to share the responsibility, since it’s not all on the city,” Councilwoman Karen Bergman said of private developers also chipping in for affordable housing. The city’s plan also includes having private developers help to finance affordable housing. One of the ordinances introduced Thursday would increase the city’s existing development fee from 1 percent to 1.5 percent, with the money going into a trust fund for affordable housing. Council members repeatedly emphasized that the fees collected from private developers will help “spread the burden” of financing the program instead of having taxpayers pick up the entire cost. Councilman Bob Barr pledged to work with the local taxpayer advocacy group Fairness In Taxes on ways to fund affordable housing. Barr said he is willing to “look into all alternatives” to reduce the impact on taxpayers. Dave Hayes, president of FIT, and Dave Breeden, the vice president, appeared before Council to offer their organization’s help. A lush green park has replaced the former blighted Getty gas station on the Ninth Street corridor at Bay Avenue. 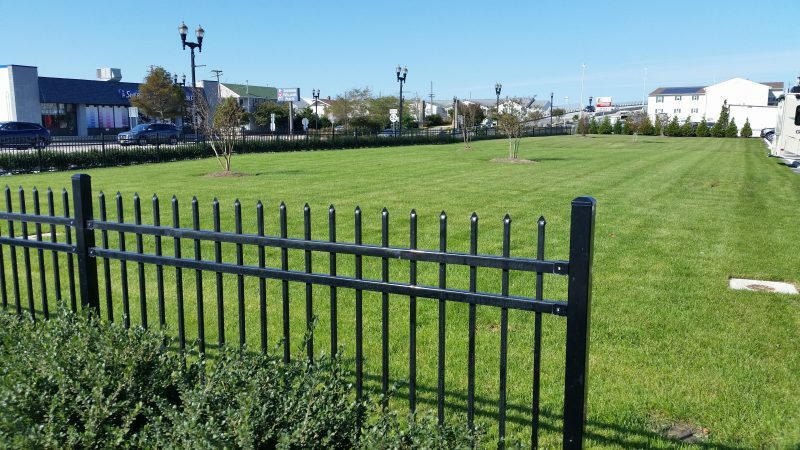 In other business, Council approved a $650,000 deal with Cape May County for a former blighted gas station site that has since been transformed into a landscaped park to beautify the city’s Ninth Street gateway. Under the deal, the city will sell the land to the county as open space. The city, in turn, will enter into a 25-year lease with the county to maintain the park, which replaced an abandoned Getty gas station at the corner of Ninth Street and Bay Avenue. The lease contains a 25-year renewal option. The former Getty parcel is the second deteriorated gas station site that was turned into a landscaped park as part of the city’s efforts to make the Ninth Street corridor a more inviting entryway. 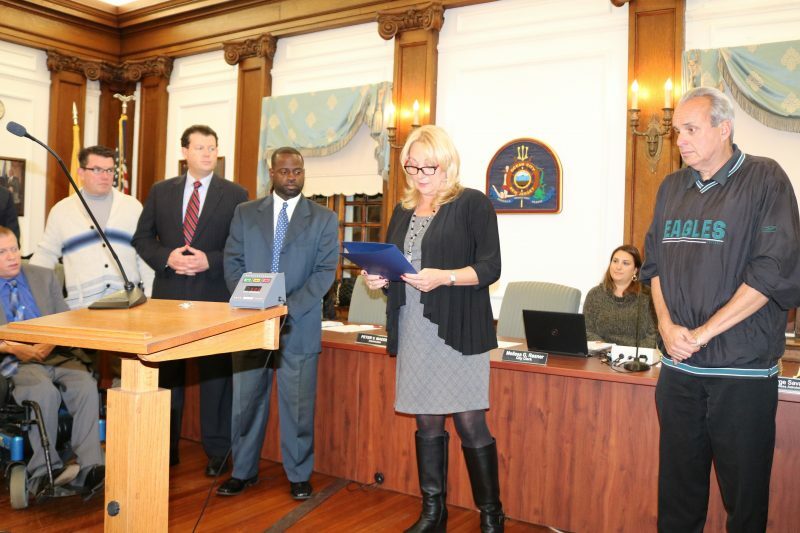 Also Thursday, Council approved a proclamation honoring the late Nancy Fox-Hoover, an accomplished singer and community icon who taught hundreds of voice students at her Fox Vocal Arts Studio in Ocean City. Her husband, Duke Spitzer, was on hand for the emotional tribute and thanked the Council members. Fox, who died on Oct. 25, was hailed in the proclamation as a “driving force” for the city’s arts community. 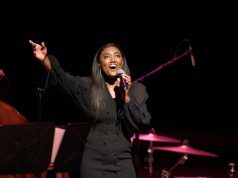 Among her achievements, she soloed with the Ocean City Pops at 26 years old and stayed with the orchestra for 38 years. 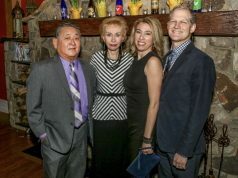 Councilman Tony Wilson fondly recalled how Fox was instrumental in developing the singing talents of his teenage daughter, Julia, who is the reigning Junior Miss Ocean City, when she was a child. Councilwoman Bergman, who read the proclamation, recalled with a smile all the times she would drive down Bay Avenue and catch a glimpse of so many vocal students who were studying with Fox at her studio. Councilwoman Karen Bergman reads a proclamation honoring the late Nancy Fox-Hoover, an accomplished singer who taught hundreds of students at her Ocean City voice studio.